Ian Lamont is the founder of i30 Media Corporation. His media career has spanned more than 20 years across three continents, including a stint in the British music industry and a six-year residence in Taipei, where he learned Mandarin and worked for a local TV network and newspaper. Returning to the Boston area, he shifted into digital media, building websites for Harvard University, developing online services for technology publisher IDG, and serving as managing editor of The Industry Standard blog platform and prediction market. 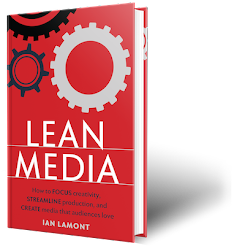 Later, Ian founded two ventures, including a mobile software company and i30 Media, which publishes IN 30 MINUTES guides (in30minutes.com). The guides help people understand mildly complex subjects, including business, software, and medicine. You can also read my founder's statement. If you want to keep up with my activities and interests, the best way to do so is by following my personal Twitter account (@ilamont). You can also visit the I, Lamont blog home page to see my personal blog. The Digital Media Machine blog discusses new media and mobile technologies, and my MIT blog (sorry, no longer available) highlights my experiences as an MIT Sloan Fellow. I operated a popular blog about Harvard Extension from 2005 to 2008. You can find other samples of my writing about technology topics on Computerworld.com and Terra Nova. Essays and op-eds have appeared in the South China Morning Post, the Economist Intelligence Unit, Baseline Scenario, The American, Case Currents, and the PBS and BBC World Service websites. I am also the lead author of an MIT Sloan case on innovation at Nintendo, and co-authored a workshop paper for the IEEE 2012 Consumer Communications and Networking Conference. I am a board member of the Independent Book Publishers Association (IBPA). Opinions expressed on this and other blogs/social media are made independently of IBPA's official positions. I use Google Adsense, Amazon Associates, and other affiliate programs on my blogs. Ads and affiliate links help recoup domain registration fees and other costs associated with running the websites.